WELCOME TO THE NEW YORK IRISH CENTER. 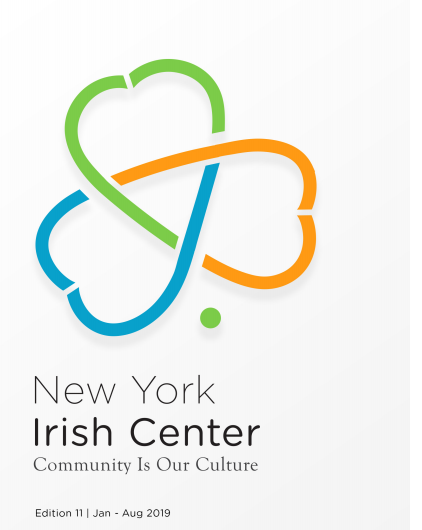 We are truly a center for everyone in the greater New York Irish community. So whether you're from Ireland, have Irish ancestors, or are Irish at heart, there's a "céad míle fáilte" (hundred thousand welcomes) here for you! Our January-August 2019 issues is here, and we cant wait for all our new events that are coming up! Like our Facebook page to keep up to date with all our events and the centers programs. You can also pick up or new program here in the center, and if you haven't already done so, sign up for our email notifications. Sign up here to be kept informed of our LGBTQ Networking Nights. “Place” is a visual exploration of the historic military site of Fort Dunree in Co. Donegal, Ireland. What Artist Sebastion McLaughlin found was a sense of place, history and atmosphere. Sebastian is a self-taught artist from Ireland, who always had a keen interest in art from an early age. He won first prize for drawing at a regional art show at age 10 and later winning a young artist bursary for his portrait painting at the age of 16 from a local art institute. Follow the link for you free tickets. Our Midweek Matinee Series returns. disappointments of her Irish Dancing life. We share her mind numbing commitment and burning desire to win the Irish Open title. Will she win and, if so, in what way? The Humours of Bandon is a coming of age story, full of heart, humour and wisdom, for anyone who had a childhood passion that threatened to overwhelm their life. Follow the link for your tickets. Never been to our Center?